If your conservatory is going to be anywhere but north facing, you should ensure you have at least one or more roof vent to allow the warm air to exit the roof. 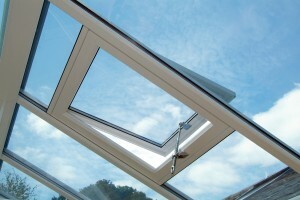 Good conservatory ventilation is essential. What most people don’t realise, is that two thirds of the heat in any room is in the top third of the room. Quite simply.. warm air rises… that’s why the floor is normally the coldest point the room. In a conservatory this is usually made worse by the fact that the warm air, just below the glazed roof is superheated by the sun hitting the roof… even with solar control glass, this is still the hottest point. Despite having all your doors and windows open, there are days when there is no air movement and the hot air just back fills into the conservatory. A roof vent operates just like a chimney. Warm air rises and just exits the roof via the roof vent(s). 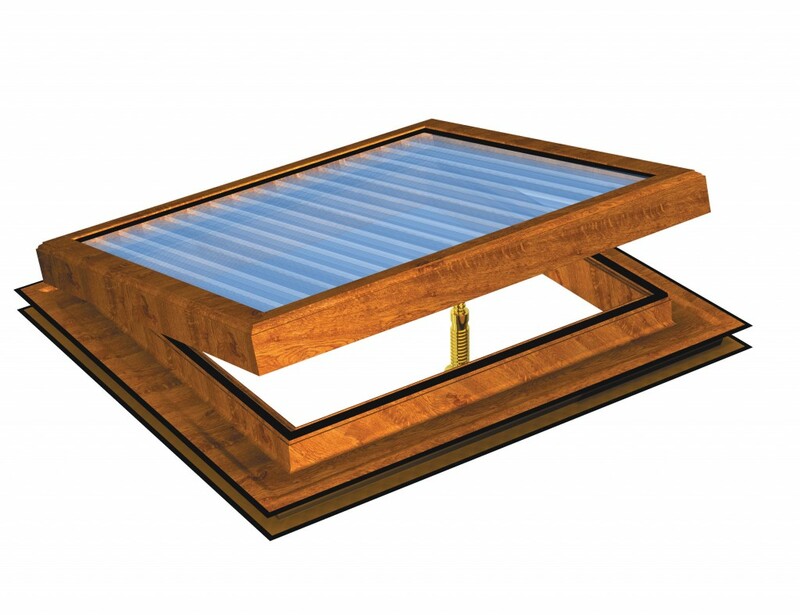 Because it’s not possible to have a vacuum, this air is replaced by drawing more air into the conservatory from the outside, thus creating a most welcome draught. 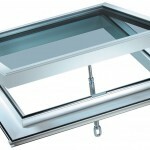 Manual roof vents are operated by pole with a hook at the end to operate a worm screw, which opens and shuts the vent. 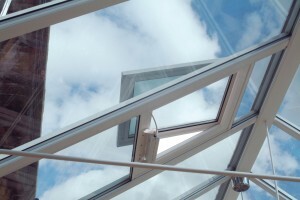 This is adequate on an east or west facing conservatory, when the vents aren’t required to be opened as frequently and where there are no more than two vents, otherwise they can be quite an inconvenience. 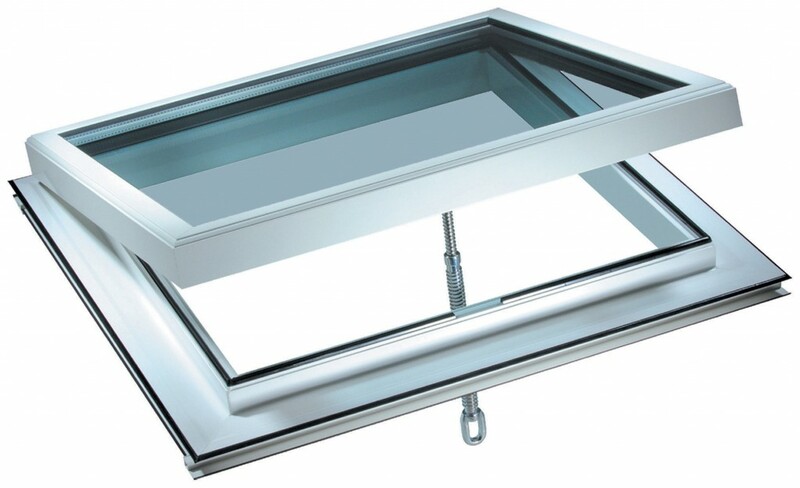 Electric roof vents are more convenient as, at the push of a button, they can be opened or shut all at the same time. The Climate Control can be set to the comfortable room temperature you require and the roof vents will open, either partially, or completely, depending upon the temperature setting. When the Rain Sensor, set onto the roof detects rain, it will immediately over-ride the climate control and cause the roof vents to close. 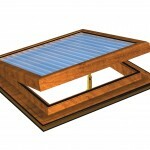 Leaks from Roof Vents: Clients are often advised not to fit roof vents, because they can leak. 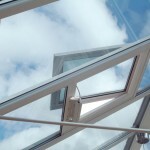 This false information is used by some sales people to reduce the price of a conservatory by the cost of the roof vents, especially if their company is expensive for these items. 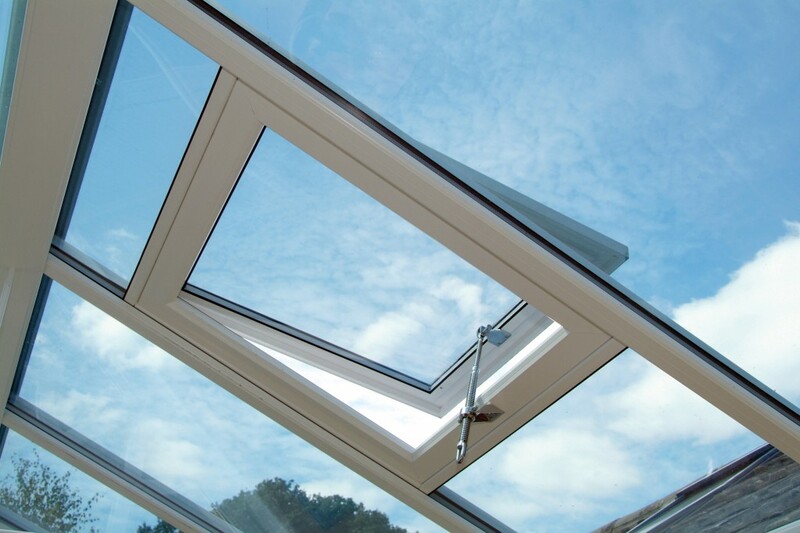 If a roof vent is designed and fitted properly with the use of the correct sealants, then it won’t leak. 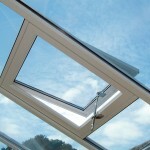 We have fitted hundreds of roof vents without leaks. Failing Roof Vent Motors or Climate Controls: Having fitted roof vents for over 20 years, we have had less than 5 failed motors or climate control units. Advice: Don’t neglect this part of a conservatory. The small additional cost can make all the difference as to whether the conservatory or orangery is usable all year around, or not. Over the years, we have had many requests for roof vents to be installed in other companies’ roofs, where they have been omitted. Fitting a roof vent retrospectively is usually impossible to do satisfactorily and, even if possible, will be a very expensive exercise.